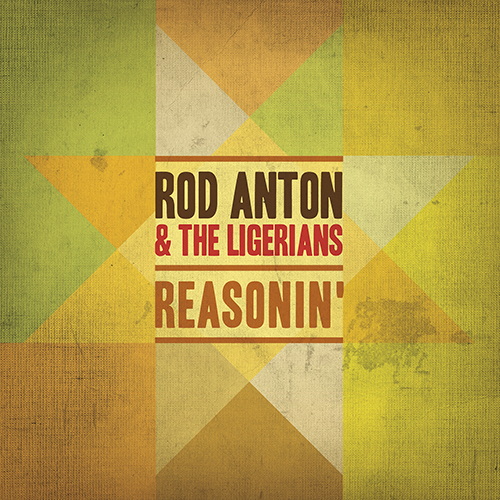 The main theme of this 14-track album is the concept of “Reasonin”, as the title points out, referring to a form of communication, thinking and interactions among people seeking wisdom. In fact, the concept is defined from the outset, in the opening song “We Go Reason”, as well as in a musical interlude by The Congos. The latter again contribute to the famous “Leaders of Tomorrow” in its LP version and to the concluding track of this new album. Max Romeo, another legendary figure of Jamaican music, also brings his contribution, grooving to the “four drop” riddim of “Holy City” and “M. Richman”, a protest song blaming modern society for its overabundance and selfishness. On this track, the Ligerians are accompanied by the repeater drum of Brother Joe, an elder Rastaman founder of the legendary “Sons of Negus”. Brother Joe is a master of the Jamaican Nyahbinghi drums, and recorded with most renowned artists such as Bob Marley at Studio One, Lee Scratch Perry at Black Ark… This album is in the tradition of the “Roots bombs” of the 70s and also showcases another collaboration with one of the great names of the contemporary Roots Reggae stage, unusually not from Jamaica but Saint Croix, one of the U.S Virgin Islands: Vaugh Benjamin, the very mystical singer of Midnite. He joins Rod on the track entitled “Trumpet Bush” to remind us of the importance of using and preserving medicinal plants and of the Bush Doctors who prescribe them. This song should have a great impact. DJ Zéza: Nós Brasileiros não somos contra o desenvolvimento mas sim a favor dele. Só que não queremos de um desenvolvimento que se basei em destruiçao e morte. E a nossa alma e o nosso planeta estão gritando: Belo Monte, Não! Belo Monte, Não!!! Por isso gritamos todos: Belo Monte, Não!!! And the almighty I Haile Selassie I the first said, Behold, I have given you every herb bearing seed, which is upon the face of all the earth, and every tree, in the which is the fruit of a tree yielding seed; To you, it shall be for meat. And to every beast of the earth and every fowl of the air, to everything that creepeth upon the earth, wherein there’s life. I’ve given every green herb for meat. And it was so. And the Lord God Jah Rastafari Haile Selassie I the first saw everything that he had made, and, behold, it was very good. And the evening and the morning were the sixth day. Yashua ina strato’s tower where Antigonus lay. So why don’t you teach them what’s the best for their health? It was two blades of aloe, tie on some nonni leaf. Peppermint and papaya and Anise, calms bellies. In the heart of prosperous economies, seet.